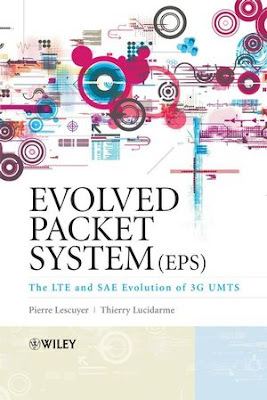 Pierre Lescuyer, Thierry Lucidarme, "Evolved Packet System (EPS): The LTE and SAE Evolution of 3G UMTS"
2G/GSM and 3G/UMTS are key mobile communication technologies, chosen by more than 2 billion people around the world. In order to adapt to new services, increasing demand for user bandwidth, quality of service and requirements for network convergence, major evolutions are introduced in 3G network standard. Evolved Packet System (EPS) presents the EPS evolution of the 3G/UMTS standard introduced by the 3rd Generation Partnership Project (3GPP) standard committee. This new topic is looked at from a system perspective, from the radio interface to network and service architecture. Hundreds of documents being issued by Standard organisations are summarised in one book to allow the reader to get an accessible comprehensive view of EPS evolution.